Has this ever happened to you? You wake up one morning, you’re running late to work, so you throw a breakfast sandwich in the microwave. You set the timer, push the start button, and…nothing. No heat. No spinning disc. No breakfast sandwich. It’s never fun when your appliances break, but it happens all the time. After gauging the averages, it seems that most appliances will only last between 3 and 10 years if you’re fortunate. That’s frustrating enough, but a bigger problem remains. When they break, do you want to have them fixed or just buy a new one? Either way, you’re taking a risk with your money. If you’re having trouble deciding, read ahead for some practical tips that will help you save money and get your house back in good working order. Before you do anything else, double check the warranty on your appliance to see if it’s still valid. If it is, your decision becomes much easier. You can simply order a service job that won’t cost you a penny. Depending on what the warranty specifies, the manufacturer will either fix or replace your unit at no cost. Most of the time, this probably won’t be the case. As I mentioned in the intro, most appliances start breaking down around the 3-year mark. Most warranties are limited to about 12 months. If you’re lucky enough to have extended coverage up to 24 months, then that’s awesome. But it’s rare. Since having Internet access in the home started becoming the norm around the turn of the 20th century, people have been much smarter about what they buy. We have access to online reviews, forum discussions, and even video tutorials about the products on the market. With these new advancements, we’ve been able to research appliances extensively before buying, so we have a pretty good idea of what we’re getting. But even with these modern resources, sometimes, you just get stuck with a bad product. When your appliance breaks, head online and check the following. Every appliance has a set amount of time that it’s supposed to work. No matter how well an appliance was manufactured, wires fray, parts fail, and the system simply wears out. If you’re nearing the end of your appliance’s life cycle, you’re probably better off replacing it. You can’t trust the manufacturer to give you an honest assessment on this one. Instead, look at product reviews that others are leaving about your model. If you’re finding that your model is constantly breaking down, you may want to consider swapping to something more reliable. Before you make a final decision, you should get a quote about how much it will cost to repair your appliance. Bear in mind – in 90% of cases, it will cost more to replace than to repair. What you’re gauging isn’t which option is cheaper, but which carries more value. Here’s what I mean: say it costs $100 to have your unit repaired. A better model would cost you $300. However, your current model breaks down about every two years, while the new one lasts about six. In four years, you’ve potentially still spent $300 for a product that will fail more frequently. If you find that’s the case, then it’s worth making the upfront investment in a better model. If you find that you have to tag on another $1,000 to accommodate a $300 appliance, then opting to have it repaired probably makes more sense. I touched on this in the last paragraph but let’s look at it from another angle. Depending on how old your appliance is, it might be costing you more money even when it functions well. 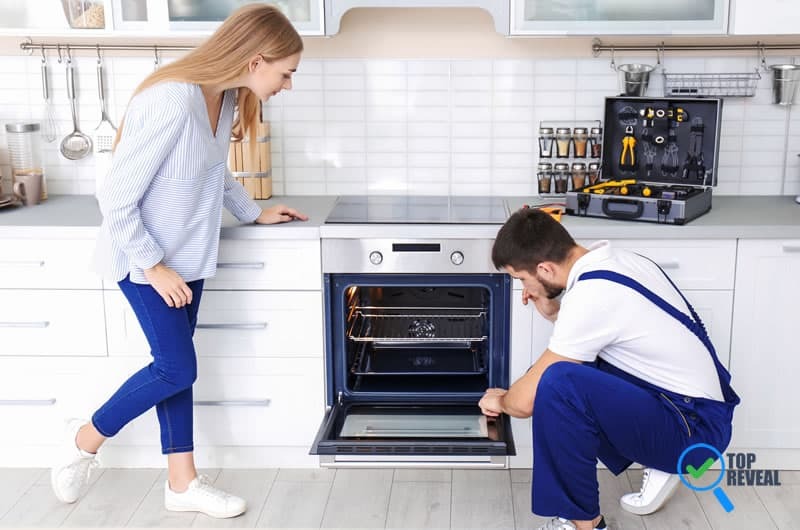 As appliance technology has advanced (and energy regulations have become stricter), new appliances have been designed to work just as well without drawing as much power. Consumer Reports did a study on energy usage in appliances in October 2018, and what they found was pretty startling. Compared to the models of even 20 years ago, appliances today will cause far less of a strain on your electric bill. They cited washing machines as an example. A modern washing machine, certified by Energy Star, will consume about 25% less power per use (it also uses about 75% less water). If your old model was adding more to your electric bill (or water bill), then you may find that you save more by upgrading to a new model.